We have no telescope. But Bryan didn't want to miss the transit of Venus across the sun, so he did a little research on the interwebs and came up with a way for us to watch safely. He put a tripod in the driveway and mounted the binoculars on it. 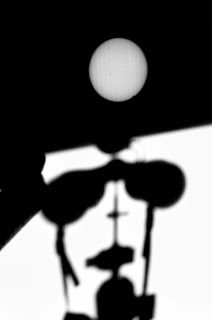 Then he fixed up a light stand with a piece of corrugated plastic clipped to it, and situated it so that the too-bright sun image from the binos would hit it. Hooray! 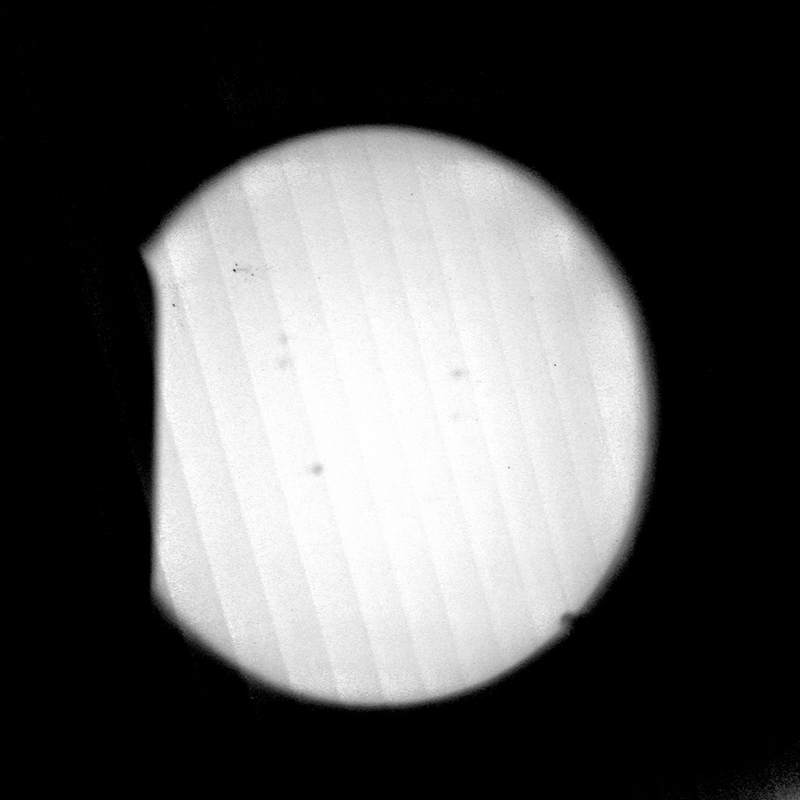 The transit of Venus projected safely onto white plastic. Pretty clever, if you ask me. As an added bonus, we were able to see sunspots too!